I decided to add a new category of blogs called “Leadership.” I have a deep desire to become a better leader and I believe the church is in desperate need of good Biblical leaders. I am actually starting a master’s degree from Liberty Baptist Theological Seminary this January in the area of Christian leadership. You don’t have to pursue a degree to become a better leader, but you do have to take the time to learn and studying the idea of leadership. I wanted to share three leadership resources that have helped me in the area of leadership and I believe they can help you too. 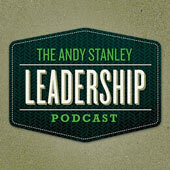 The Andy Stanley Leadership Podcast. This by far is one of the best leadership podcast I have ever listened to. They update it about once every few weeks and every podcast is extremely helpful in the area of leadership. What is really good about this leadership podcast is that it does not focus only on local church leadership. Many leadership podcasts deal with leadership within the church, but this one does not. We need good Christian leadership in “secular” circles and workplaces as much as we need them in the church. If you are a Christian and are in leadership in a “secular” circle I would highly recommend this podcast for you. You can go here to download this podcast. 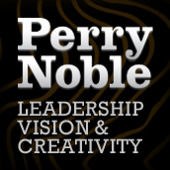 Perry Noble Leadership Podcast. For some of you the moment you read the name “Perry Noble” you already shot this resource down. I understand Perry Noble and Newspring Church has done some things many of you would not, but that does not mean God is not using Perry Noble and his church to advance God’s kingdom. We can learn something from everybody, even people who use different methods than we do. Please don’t turn this great resource down because you don’t agree with Perry Noble. I have been listening to this podcast every month when they update it and every time God uses it to teach me more about Biblical leadership. This podcast focuses more on leadership within the local church so I highly recommend this podcast to anyone in local church leadership. Out of all the three resources I am sharing in this blog, this is the top one for me. You can download this podcast here. I recommend that you at least start using one of these resources to help you become a better leader. Our churches, our world, and our families need good, BIblical leaders. God has and will use these resources to help us become those Biblical leaders this world needs.